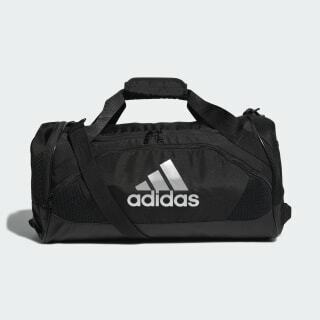 A durable duffel bag with a water-resistant base. 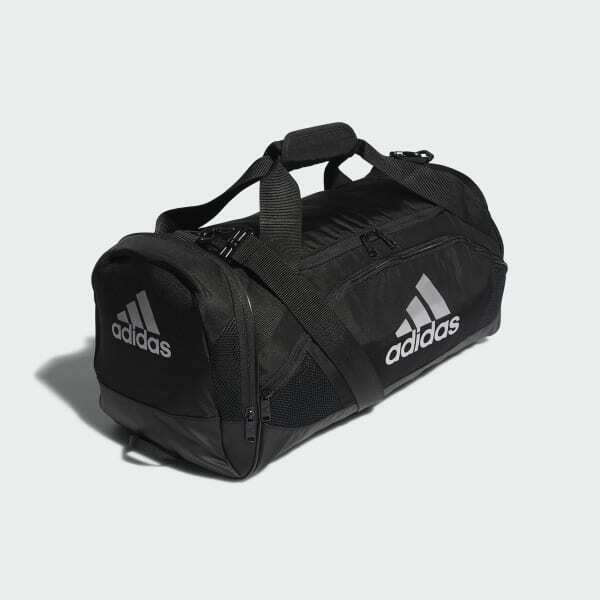 Get your workout gear to the gym in this durable duffel bag. Multiple zip pockets stow your small essentials, and a separate compartment isolates your shoes. A water-resistant base helps keep everything dry. The padded shoulder strap and carry handles offer easy transport. Dimensions: 21.5" x 11" x 11.5"